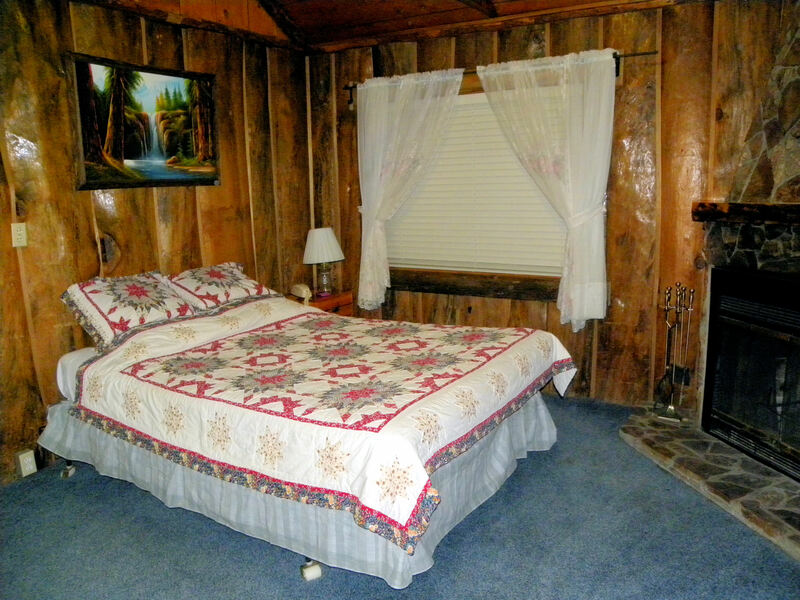 The cabin walls were covered with huge log slabs, very rustic. Our room had a fireplace and a full kitchen, plus a private balcony/porch. 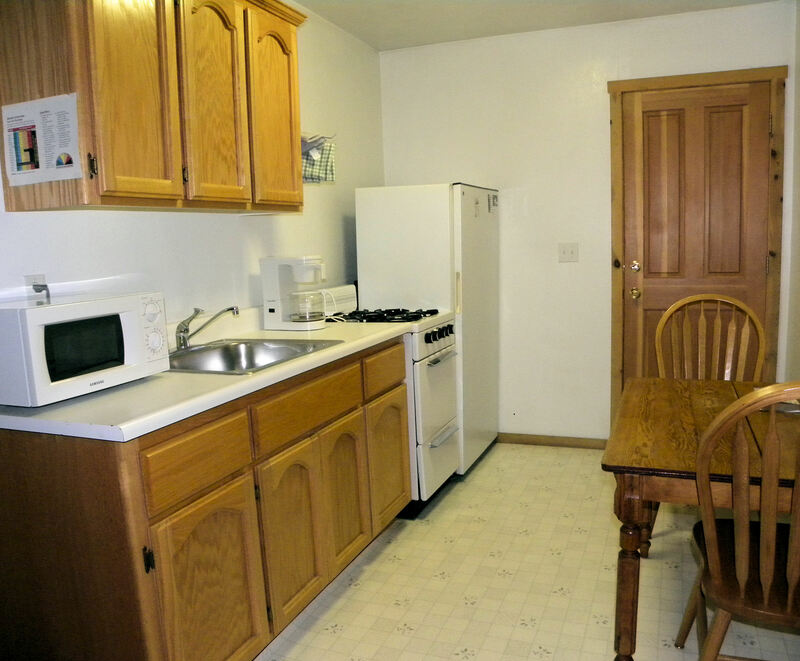 The kitchen in our cabin. 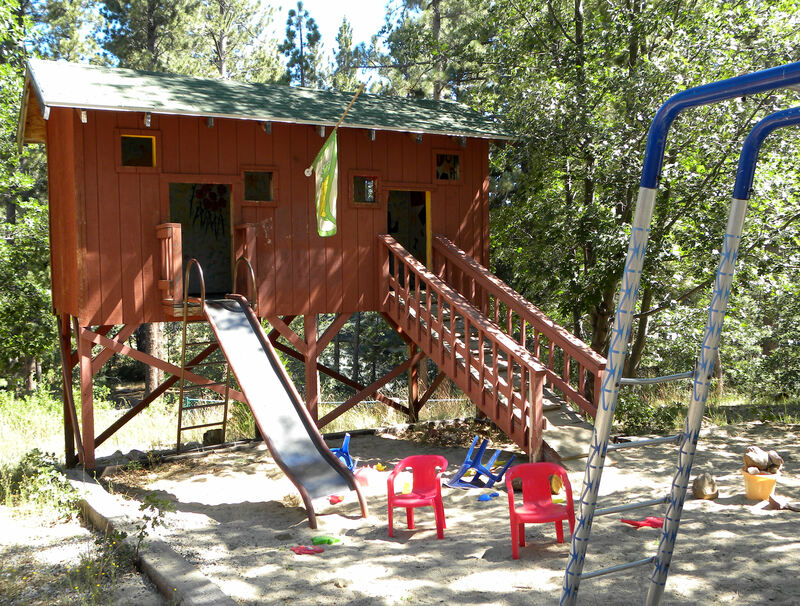 Our little granddaughters would love this children's playground with playhouse. 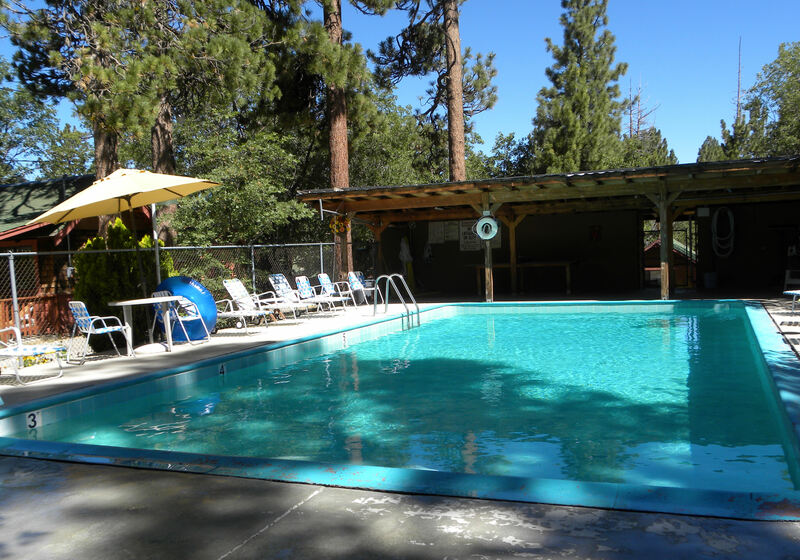 Our granddaughters would also love this pretty pool. 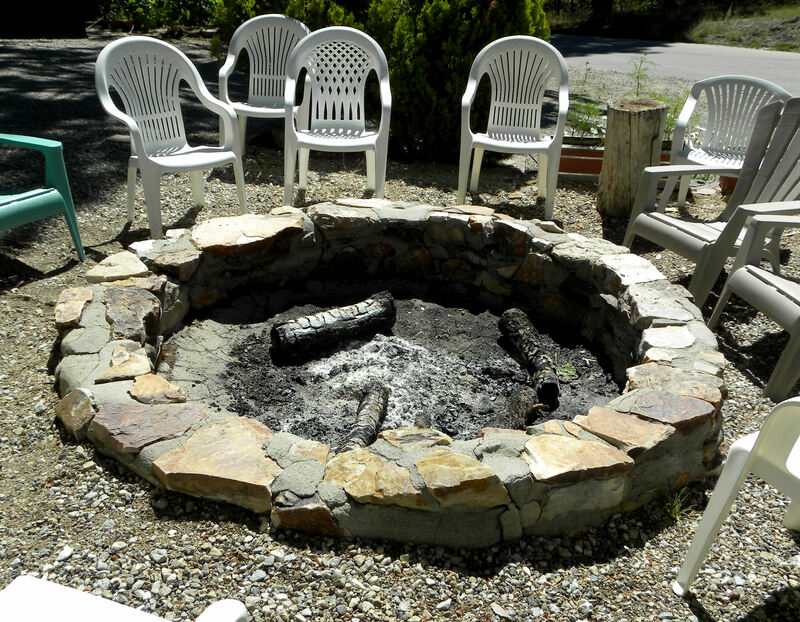 The hosts at Oak Knoll Lodge often build a campfire on weekends. I was too tired on Friday to take advantage of it, and they didn't build a fire on Saturday, so we missed out on toasting marshmallows. 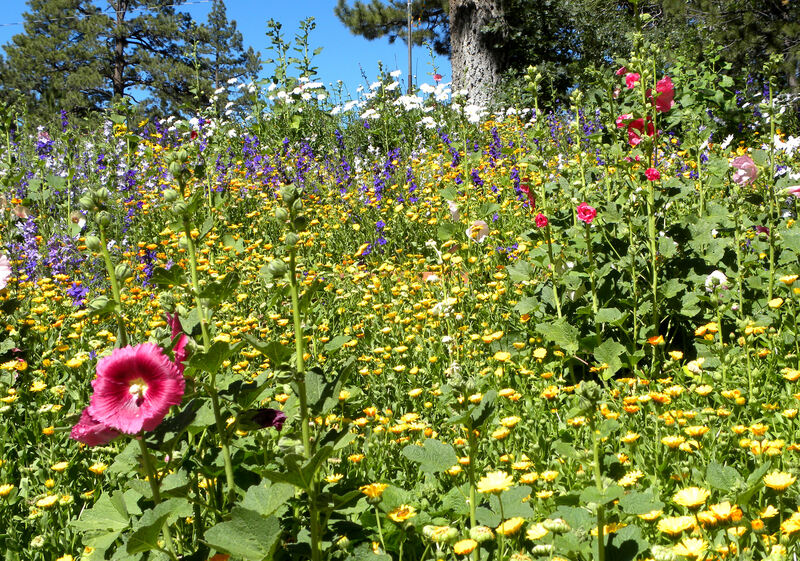 The landscaping was a riot of color, a mix of wildflowers and old English garden favorites like hollyhocks, foxgloves, larkspurs, and coreopsis. We had dinner on Saturday night at Peppercorn Grille in Big Bear Lake. The food there was incredible! Great Italian menu. 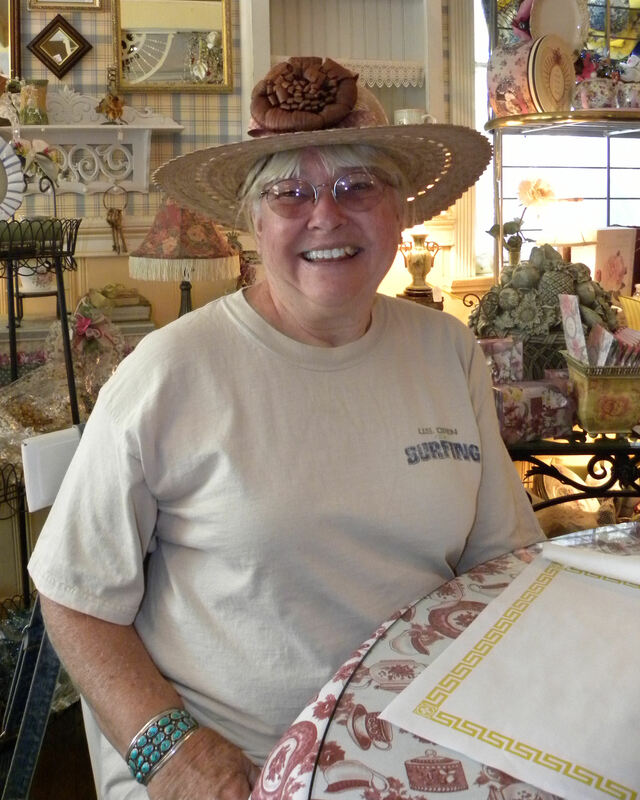 On our last morning there, we had brunch at the Mill Creek Manor Tea Room. 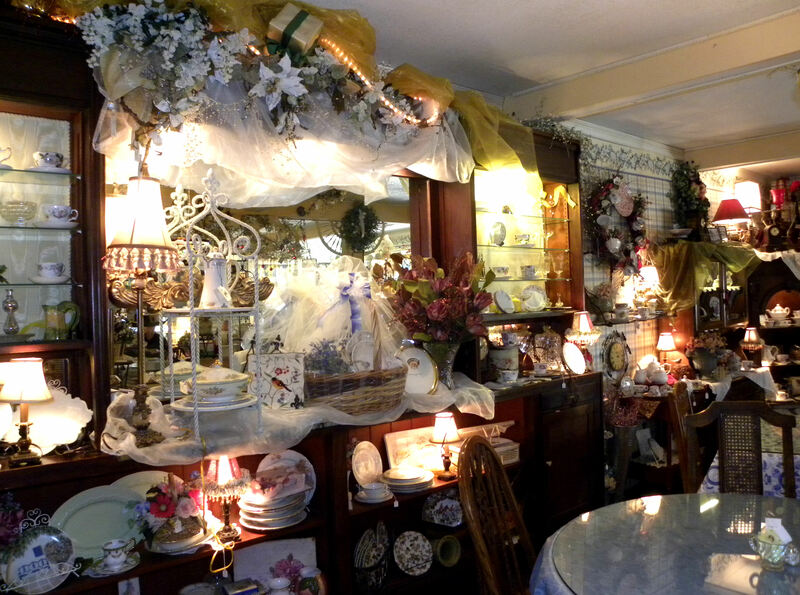 Adorable place, but tea was $5. What do you think? Is the decor over the top? I liked it, but it made Vic squirm. 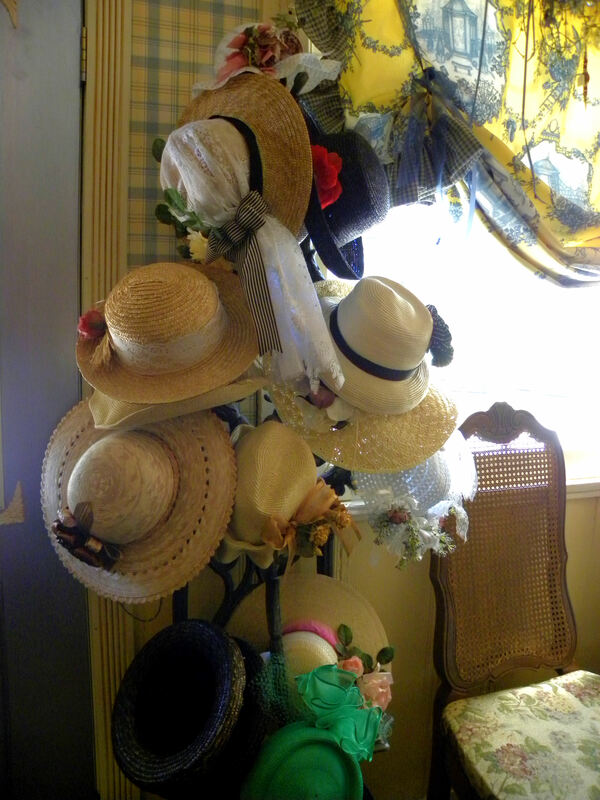 They have a hat rack with hats that can be borrowed while you're having tea. I picked one and wore it while we ate. Do I look like I'm enjoying myself? I was. I thought that the prices were a bit high, but I would definitely love to go back. 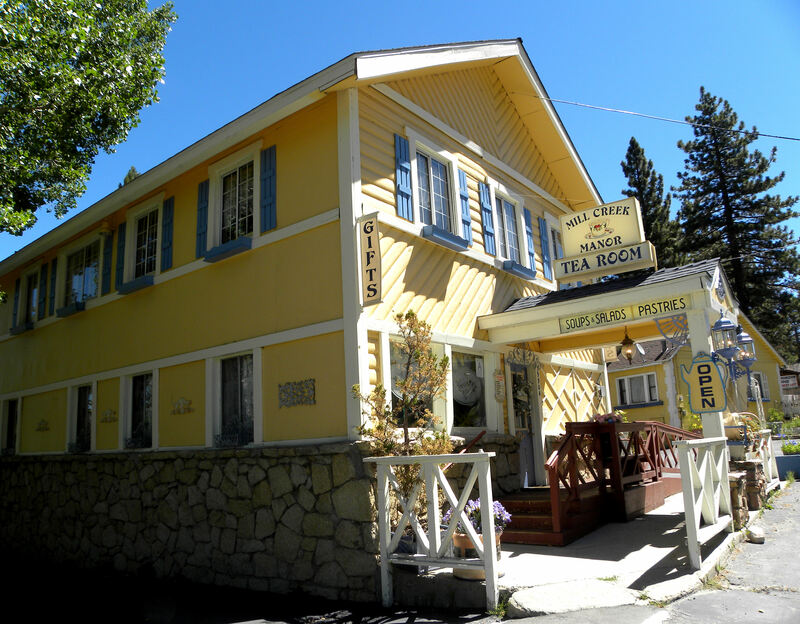 This entry was posted in Uncategorized and tagged Big Bear Lake, California, dining, lodging, Mill Creek Manor Tea Room, Oak Knoll Lodge, Peppercorn Grille, photos. Bookmark the permalink.